We are a registered breeder with the ALAA breed club registry. 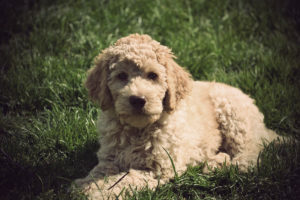 (Australian Labradoodle Association of America) We are proud to participate in the health testing reward program which awards a silver or gold paw award to breeders who go above and beyond basic requirements in health testing. We have received the highest award available which is the Gold Paw which is proudly displayed on our website.